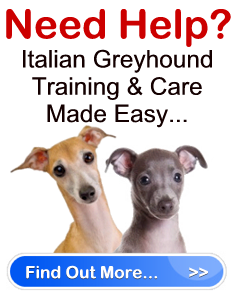 Italian Greyhound Rescue Help & Advice " "
Looking for a dog to rescue from a dog rescue home or a dog shelter? If you are the type that does not want large dogs, or cannot have large dogs, then rescuing or adopting an Italian Greyhound might be best for you. There are specific Italian Greyhound rescue homes and shelters which solely take care of these nephews of the original Greyhound, and they make sure that these Italian Greyhounds given over to their care until another home takes them in. It is a surprise that these Greyhounds still last in the shelters or homes, because who in the world would not want an amazing breed of dog such as this? The Italian Greyhound is a breed of dog which is totally loved because it may arguably be the best lap dog out there. It has become so popular, that even the particular rescue or care or adoption organizations devoted to giving this breed of dog another chance for a better family, have become huge organizations in some countries, particularly the United States of America, albeit most of them being non-profit organizations. You can be quite sure, then, that those little Italian Greyhounds you rescue from these shelters are well taken care of. A number of Italian Greyhound rescue operations are being done by these organizations themselves. When families give up their Italian Greyhounds, they usually have their reasons, but most of the time, it is to be accepted that there are really some individuals out there which care less for the well-being of a dog, whatever breed it may be. Enter the Italian Greyhound rescue operations, and these Italian Greyhounds are safe and are due to be adopted and rescued again, by possibly you. To be able to determine if the Italian Greyhound rescue home or shelter you are about to adopt an Italian Greyhound at is a reputable one, check first how well they treat the dogs under their care. Check the living space each dog has. Do they keep them in cages or leashes? Are they well-fed? Are they groomed, socialized with, or taken care of properly overall? If the home or shelter you are about to rescue a dog at checks out in all of these departments, then the last thing to check would be the dog itself. They might have come from damaged homes, or even great families before they were given to these dog adoption shelters. The dog must first connect with you, before you even have any chance at connecting with them.